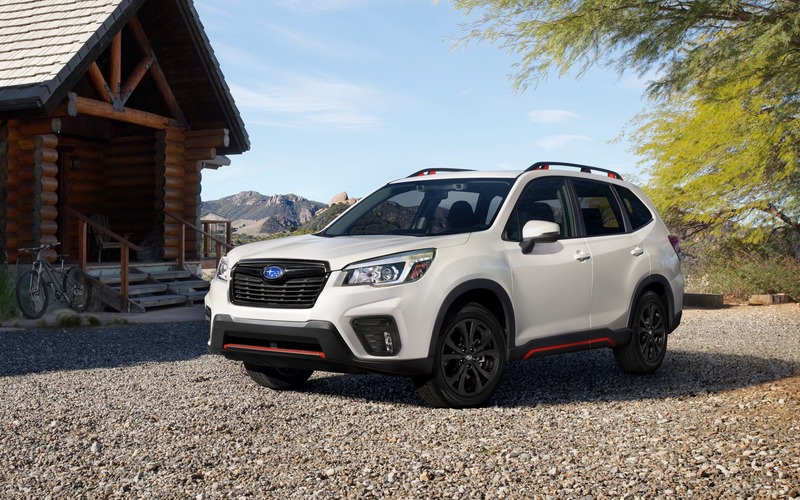 The thoroughly redesigned 2019 Subaru Forester will be hit Canadian dealerships this fall, and the automaker has just announced its pricing structure. The Forester is built on a new platform, riding on a slightly longer wheelbase that allows for increased rear-seat legroom. The cargo area opening is much wider for loading bigger objects, and the optional power tailgate is faster than before, which is also a plus. Only one powertrain will be offered in the 2019 Subaru Forester, a 2.5-litre four-cylinder engine and a continuously variable automatic transmission, good for 182 horsepower and 176 pound-feet of torque. Obviously, full-time all-wheel drive is standard. The base trim in Canada is the 2.5i, which starts at $27,995 before freight and delivery charges. It includes automatic climate control, LED headlights, heated front seats and a four-speaker sound system with 6.5-inch touchscreen as well as Apple CarPlay and Android Auto integration. The $30,295 Convenience trim adds 17-inch alloy wheels, a power driver’s seat, a leather-wrapped wheel, spiffier cloth upholstery and a windshield wiper de-icer, among other things. The EyeSight safety suite is available for an extra $1,500, and is standard in all subsequent trim levels. The $32,995 Forester Touring benefits from an intelligent key system, automatic high beams, a power tailgate and a panoramic sunroof. We expect this version to be a strong seller in Canada. The $34,995 Sport trim obtains a few cosmetic distinctions, such as a unique grille design, a rear spoiler, 18-inch alloys and orange striping. Its cockpit is also dressed up with orange contrast stitching, and the base touchscreen is replaced by an 8.0-inch unit. The SI-Drive gets a Sport# setting for quicker throttle response. The $37,695 Limited also gets its own grille design in addition to navigation, an eight-speaker Harman Kardon stereo, leather upholstery, a heated steering wheel and heated rear seats. Finally, the $39,495 top-shelf 2019 Subaru Forester Premier boasts chrome door handles, silver-painted bumper guards and roof rails, exclusive brown leather and a power front passenger seat. It also includes DriverFocus, which uses a dash-mounted camera to detect driver drowsiness. DriverFocus also uses face recognition to set individual seat position and audio settings. In comparison, the 2018 Subaru Forester’s price ranged from $25,995—or $27,295 with an automatic transmission—to $39,495.